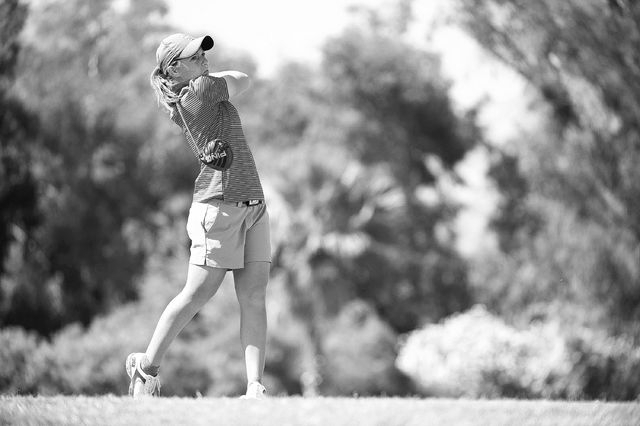 Dana Finkelstein will play her final collegiate golf tournament when she and UNLV tee off Friday at the NCAA women’s golf championship in Bradenton, Fla. Finkelstein is arguably the best player in the 15-year history of the program. It seemed like yesterday that UNLV women’s golf coach Amy Bush-Herzer was standing under a tree on a typically hot day in late June 2009 at Anthem Country Club during an American Junior Golf Association event trying to recruit this kid from Chandler, Ariz. She wasn’t big physically, but she could hit it far and straight and was good around the greens. And the kid knew how to win. Six years later, Dana Finkelstein will play her final collegiate tournament when she and the Rebels tee it up Friday at the NCAA women’s championship in Bradenton, Fla. Finkelstein accepted Bush-Herzer’s scholarship offer, and she will leave UNLV as arguably the best player in the 15-year history of the women’s program. Oh, and she earned her degree in kinesiological sciences on Friday. Her 3.39 grade-point average made her an academic All-America. Finkelstein has five career victories, the most in school history, and she enters the nationals a hot player. 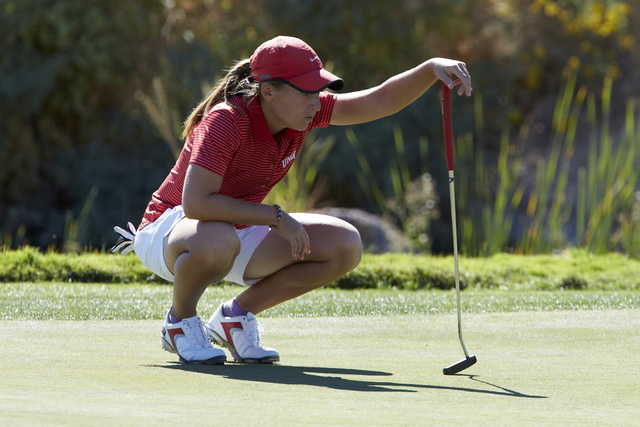 She won the NCAA regional at St. George, Utah, by five strokes with a 2-under-par 211 total, and she did it after making a change in her putting grip. Finkelstein changed to a cross-handed grip a few weeks ago, and the putts that hadn’t been dropping were finding their way into the cup. Finkelstein didn’t tell the coaches or seek their advice. She just did it. Finkelstein always has been good with her irons, and she has gotten stronger physically at UNLV thanks to a weight training program. 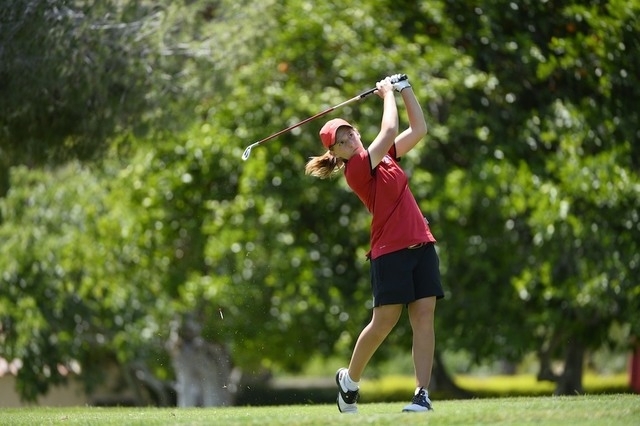 She has dropped four strokes off her average since her freshman season. On Saturday, UNLV played a practice round at Reflection Bay Golf Club in Lake Las Vegas. Finkelstein shot an 8-under-par 64. UNLV’s lineup after Finkelstein will consist of freshmen Mackenzie Raim and Harley Dubsky, sophomore Avery French and senior Mayko Chwen Wang. This is the Rebels’ first NCAA championship appearance since 2008 at Albuquerque, N.M., when they finished 16th out of 24 teams. Last year, Finkelstein qualified as an individual and had a hole-in-one during the first round. She finished the tournament tied for 33rd. This year she’s bringing her teammates with her to the par-72, 6,468-yard The Concession Golf Club. The format calls for three rounds of stroke play Friday through Sunday before the field is cut to 15 teams. Those teams will play another round of stroke play Monday, with the top eight advancing to match-play. The last team standing after 36 holes on Tuesday and the final round of 18 holes Wednesday wins the championship. UNLV, ranked 19th in the latest Golfstat.com poll, plays its opening round at 9 a.m. alongside Tulane and UC Davis. Live scoring from the NCAA championship is available through a link on UNLV’s website, unlvrebels.com, or through Golfstat.com.